Cultural heritage can transcend the fast cycles of trends to become a true-and-tested classic. When this topic inevitably turns to Indonesian textiles, the wax dying technique of batik normally comes to mind. However, it’s not the only one. Indonesia also boasts a rich variety of tenun (handwoven fabric). Often seen in both subdued earthy tones and vibrant hues, a single piece of tenun comes with intricate patterns unique to each region and culture across the archipelago. The production process is no less complicated, as each pattern is created with different colored threads woven into one singular cloth. Tenun has a long history in Indonesia, with archaeological sources providing evidence the art form appeared around the Neolithic age at the earliest. “However, there is no concrete evidence in Indonesia, although such evidence has been found in mainland Asia. What was found was a small bronze statue called The Bronze Weaver in Flores that dates back to the 6th century. This statue shows a breastfeeding woman seated at a loom,” explained Mariah Waworuntu, secretary-general of the Traditional Textile Arts Society of Southeast Asia. The process of creating tenun is also quite complicated, with it possible for a single tenun cloth to take months to complete using traditional weaving devices. What’s more, some tenun cloth plays an important role in the culture they originate from, making their creation much more sacred, and rare. Not wanting Indonesian tenun to be left in the shadows, an initiative is seeking to promote it, with the apparent objective of having a day dedicated to the fabric, just like Batik Day, which is celebrated every Oct. 2. 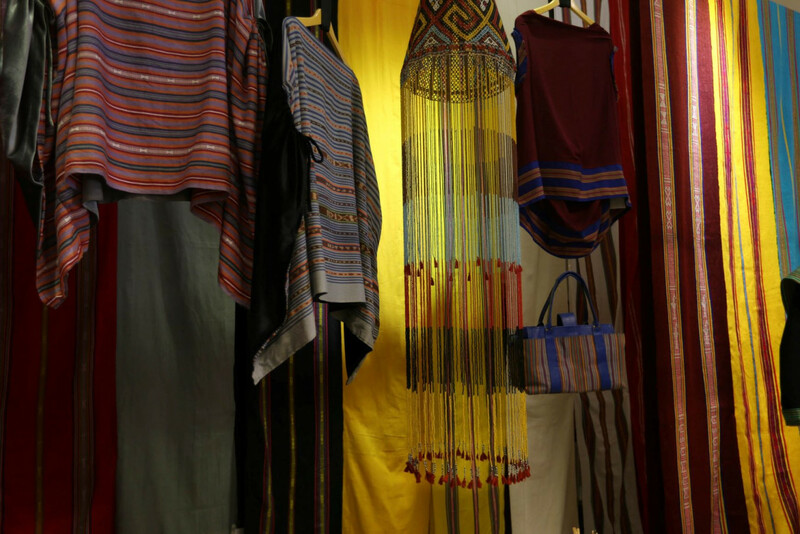 Headed by fashion designer Anna Mariana, the committee behind National Tenun Day proposed that the day be celebrated every Sept. 7. Traditional Indonesian Textile Community chairman Tengku Ryo said the proposed date originated from a story dating back to 1929, in the National Awakening period. “In that period, the need for cloth was as important as education and healthcare. As history would have it, discussions on the topic moved from Bandung to Surabaya, where Dr. Sutomo officiated the opening of the first ever weaving school in the city on that day,” Tengku said. The impetus for a dedicated day celebrating Indonesian tenun has come from the huge boost National Batik Day has given to popularity of batik clothes and artisans. Anna said this popularity was precisely what was needed to preserve Indonesia’s tenun tradition. “Nearly every region in our 34 provinces has their own variety of tenun. [...] The most basic reason is to save and preserve our beautiful culture and tradition that no other nation possess,” said Anna, who showcased designs utilizing Bali and Betawi tenun and songket (gold-threaded woven fabric) at the DC Fashion Week last year. However, a surge in popularity may also bring unwanted risks. Cut Kamaril Wardani of Cita Tenun Indonesia said following UNESCO’s listing of batik on the Representative List of the Intangible Cultural Heritage of Humanity, cheap batik-patterned clothes flooded the market.